EU member-states are rejecting integration just when national sovereignty worldwide is entering a new period of relativity. National governments blame Europe for the problems of the moment and lay claim to the successes resulting from action at the European level. The result of this obsession with the nation? The EU is politically impotent on the international stage. In order to understand this paradox you have to go back to the structural tension that defined the European project in the first place: for the integration of the sovereignty of the member states was, within that project, simultaneously an anomaly and a historical necessity. It was an anomaly because what the founding fathers managed to achieve, just after World War II, was without precedent. It flew in the face of the entire history of the nations of Europe; it figured in neither the accepted theory nor the practice of political science. It created a completely new kind of actor on the political stage, one that would bring together, and at the same time preserve, the national sovereignties of the various states involved. It was a necessity because it was the unbearable atrocities of war and the aim to end for all time the enmity between France and Germany that made such a political revolution acceptable. For half a century this tension between the original community project and the historical logic of national sovereignties was what defined the European project. A number of institutions that were, in some respects, revolutionary – the triangle made up of the Council, the Commission and the Parliament, for example – and generations of statesmen with a deeply European historical vision and awareness, made it possible to maintain, somehow or other, a certain balance between these two totally opposed pressures: integration and sovereignty, the good of all versus national interests. Now, in 2009, the anomaly is still with us, as is the historical necessity, even if the latter is no longer the result of war but a consequence of globalization. The current problems arise from the fact that the balance has been lost and that the individual nations have gained the upper hand. Nevertheless, in the era of globalization, it is worth stressing a number of developments that have been favourable to Europe. One of the most obvious is the economic crisis: given that the crisis is both worldwide in a geographical sense and universal in its nature, that is, it affects finance, the economy, international trade, distribution of power, standards and regulations for world government, then the uselessness and incapacity of any national framework for meeting such challenges is all too evident. Admittedly, in times of danger, the tendency to retrench at the national level is inevitable, indeed even necessary: so each of the nations makes sure that its own economic and political defences are in working order, just in case. But the fact that the spectre of protectionism has not returned is due to the fact that the interdependence of markets and economies has long since swept away the power exerted by nations to act alone. It was the EU that in autumn 2008 first suggested possible solutions and the need for a multilateral framework for negotiation, and it was the French presidency of the EU that set up the G20. The European Globalization Adjustment Fund, set up in 2006 on the initiative of the European Commission, though still little known, under endowed and underused, is a good example of the kind of collective instrument capable of cushioning the social impact of economic restructuring when it affects an entire industrial sector, such as the automobile industry. All the worldwide challenges that come with globalization help make the European framework more relevant. This is true, in particular, of the swine flu and all the risks of a pandemic that are increased by the opening of borders, revolutions in transport and an explosion in worldwide mobility. Working alongside the WHO, the European Commission – with its wealth of experience in prevention and in health and veterinary crisis management accumulated since the mad cow disease crisis of the 1990s – is best placed to protect the European arena as a whole. The same goes for climate risk management and reduction of greenhouse gases. 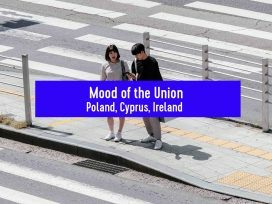 Since the initiatives that it took at the time of the adoption of the Kyoto protocols in 1997, the EU has shown that it was the right level for negotiation and decision making, whatever the priorities of each of its member states might otherwise be. Even the victory of Barak Obama in the US indisputably provides an opportunity for asserting the European project. Convergence on principles of dialogue, multilateralism and negotiation again seems to be becoming the rule rather than the exception in American diplomacy, thereby strengthening the principles and indeed the culture of the EU. The combined power of the two partners – representing 60 per cent of world trade – as well as the interdependence of their economies, is a powerful argument for major cooperation between Europe and America. All the more so because, for the first time in ten years, America has elected a president without any particular ideological baggage with regard to European power; the defence and security aspects of Europe do not appear to cause him any special concern or fear, and he is open to dialogue with the EU if it can provide him with help and ideas for managing the crises that he has inherited. This break from the theory and practice of a certain kind of American “plotting” against the assertion of Europe naturally comes with a price-tag attached: it is now the task of the Europeans themselves to provide evidence of the political role and influence of the Union. When it comes to international security, developments in the strategic context also confirm the EU’s added value. From Lebanon to Gaza, from Iraq to Iran and Afghanistan, the history of modern crises has demonstrated the inadequacy and insufficiency of military force for resolving complex political crises. And it is the EU that has the greatest financial and civil resources available for the reconstruction and stabilization of countries following conflict. Without this financial and civil power of the EU, NATO’s military operations are less and less capable of making a difference in Afghanistan or elsewhere, and Barak Obama knows this. The Euro-American strategic partnership may find in this obvious complementarity an opportunity to abandon its traditional rhetoric once and for all. It was, moreover, because it acted like a world power and not like a military power that the EU turned out to be best placed for halting and stabilizing the crisis between Russia and Georgia in the summer of 2008: neither George Bush’s US nor the military power of NATO had the degree of legitimacy that could have achieved the same result. Finally, when it comes to principles for acting upon and regulating international systems, globalization, more than ever before, lends weight to the relevance and modernity of the European model. From the outset Europe has constructed itself on an original model of governance, based on three dimensions. First, there is a certain dividing up of sovereignty, so that no one member state is in a position to dominate the others and so that collective responsibility may be applied to matters of common interest. Then there is the principle of economic and political solidarity, which takes the form of common policies for redistribution of resources between the richest and the less developed. And finally, there is the choice of a working method based on dialogue, law, a dogged pursuit of compromise and the common interest and a simultaneous refusal of traditional mechanisms founded on force or principles of authority. So, sharing, solidarity, dialogue are today’s watchwords for what ought to be worldwide governance suited to a globalized world. The era of unilateral solutions, of autocratic or authoritarian exercise of power, of economic or cultural protectionism – in other words, the period when national sovereignties were defined in a narrow and egotistical way – is coming to an end, because every day globalization reduces its effectiveness and its relevance. The international system that has gradually emerged from this process of globalization actually combines two characteristic features: on the one hand a certain promotion of national powers (“multipolarity”) and on the other an increased need for international cooperation (“multilateralism”). The G20 group is symptomatic of this new situation. Even the US and China, superpowers if ever there were any, are obliged to seek and to agree to compromises at the global level. This new kind of interaction can be read as being the transposition to a global level of the kind of interaction that has been happening for half a century between the nations of Europe. How could those European nations shy away from the requirement for collective integration at precisely the moment when the planet as a whole is discovering a new kind of relativity with respect to national independence? How can we fail to see in what has happened at the European level a necessary stage that will give added weight to Europe in those bodies where world-level negotiations take place? Despite all the factors favouring an increase in the power of the Union, it remains to a large extent both invisible and impotent. The necessity for it is being lost, day after day, in the clamour of the nations. Brussels appears to be flatlining and, at the time of writing, the rate of abstention in European elections seems likely to break all records.3 Two months before the elections, barely 16 per cent of Europeans surveyed knew that there was to be a European election on 7 June. The EU still seems to be below the national political radar even though circumstances provide increased opportunities for enhancing its profile. There are several factors that explain this contradiction. There can be no doubt that, in this marginalization of Europe, the responsibility of the political elites is enormous, fundamental and obvious. French political parties, just like their opposite numbers throughout Europe, have adopted two catastrophic habits. The first of these is the exploitation of Europe as part of national party-political strategies, to such an extent that events in Europe, just like referendums at the level of the citizens, are turned into opportunities for settling scores between the country’s government and its opposition. The second is blaming all the problems of the moment on Europe and, inversely, claiming all the success for the national authorities, including those that are manifestly the result of action at European level. In terms of political communication, blaming all the “ills” on Brussels and all the “benefits” on the nation is actually one of the few manifestations of a common culture detectable among the 27 member states, and it is a practice that is consistently damaging across the Union. What is more, whereas the things that are at stake in the election of the European Parliament are important in the daily lives of all European citizens, there exists at the national level no structure, no medium, no lobby to convey and explain them. So, every five years, for six weeks, Europe vaguely becomes a subject for electoral debate. In the intervals between there is nothing to continue the debate except chance or some immediate tactical advantage. Such political practices are simply the expression of increasing tension among the nations. Admittedly, making the national framework into an obstacle to the assertion of Europe would be a mistake: the nations are obviously necessary for the feasibility of the EU, just as they are and will remain the basis for European identity. The problem is that now national identities are all that there are. With hindsight it has become clear that the prospect of European federalism died with the Treaty of Maastricht in 1992. But what is most evident is that the founding contract for Europe, the contract that consisted of a permanent compromise between national sovereignties and the common European interest, that difficult merging of national interests and collective solidarity at a European level – all of that has, over the course of time, been lost and it is only national aspirations that have benefited. Hence, today, every European policy reflects the smallest possible common interest between the 27 members. Even if nations are becoming an increasingly ineffective framework in the face of the worldwide challenges of globalization, they appear to be the only competent and legitimate level for decision and action, even though, at the same time, their relative weight is diminishing in the hierarchy of world powers. France, for example, one of the EU’s very large countries, represents only 1 per cent of world population. What will its influence be in ten years, given that one in two of the planet’s inhabitants will then be Asian and that Asia will by then be producing approximately 38 per cent of the world’s wealth? The result of this obsession with the nation is obvious: the absence of Europe in major international debates has become a caricature. When it comes to economic governance, the promotion of G20 reinforces the power of nations: compromises are worked out between China, India, the US, Germany, France and others; they are the ones that have seats in the international organizations that really matter, in particular the IMF. In this worldwide assembly of nations, the EU is nothing more than a spectator, a committed spectator certainly, but with no power to make decisions. How much longer will France and Germany carry weight in the face of the emerging Sino-American duo? As regards political and strategic governance, it was the Nato summit that gave life to the renewal of ties between the US and the nations of Europe. But the EU simply has no place in this body any more than it has at the UN, the IMF or the World Bank. As for the EU-US summit held in Prague following the London G20 meeting and the Nato summit in Strasbourg, it was quite simply the biggest non-event of the diplomatic springtime of 2009. The spreading of what is truly a European fiction is one of the consequences of this primacy of nations. When it is a matter of making Europe take on the responsibility for crises and problems of every kind, then it is a negative fiction. But it is a fiction pure and simple when citizens are given to believe that Europe could do exactly what the nations refuse to allow it to. The celebrated Lisbon strategy is a case in point. It was invented in 2000 to transform the European economy into “the most competitive knowledge economy in the world by 2010”, meant to be based on innovation, education and research. But the Lisbon strategy is an empty shell: the Commission has no power over such matters, the prerogatives have remained entirely at national level and, in any case, the strategy imposes no obligations on the member states who therefore dreamed up an “open method for coordination” (sic! ), which carried with it no obligations, no budget and no deadlines. Now public discourse on research and innovation might lead anyone to believe that the EU has some powers in respect of these important subjects but that it is failing to apply them. Similarly, the illusion that Europe could be a factor in making social adjustments to cushion the effects of the economic crisis is very convenient: it allows the member states to maintain a culture of systematic deception of the electorate with regard to what is happening at European level, and thereby repeatedly to promote the national level. In fact, the member states make quite sure that they do not give Europe the means necessary to make such social adjustments. Since the sudden appearance of the crisis in 2008, which head of state or head of government has ever attempted to question the unanimous agreement of the 27, which passed into law as a treaty, to limit the European budget to 1.27 per cent of the EU’s GDP? Which member state led the field when it came to demanding a subsequent increase in the European budget so that the Commission might, when a crisis arose, actually have the flexibility necessary to make adjustments? Not one. If there is a consensus amongst the leaders of the 27, it is indeed to keep the European budget fixed at next to nothing, whilst at the same time entertaining the fiction of a Europe that could act but refuses to do so. And so it goes on. It is difficult to avoid the conclusion that the Europeans themselves have somehow betrayed the European model. The pursuit of the common good, the building of shared sovereignty over certain policies have been gradually lost, in favour of an increase in the power of sectional interests, national egoism and member states’ prerogatives. Even the European Commission itself is scarcely any longer playing its part in promoting and defending the common European interest. It is therefore going to be difficult for Europeans to have any influence on the current regulation of globalization until they have applied to themselves the founding principles of their system of governance. But this betrayal of the model cannot simply be accounted for by pointing to a trahison des clercs – a failure on the part of those entrusted with safeguarding these principles. The truth is also that recent history has not been very helpful in the construction of Europe. Is Europe a product of history or its victim? The construction of Europe, conceived among the ruins of a hundred-year-old tragedy, not only attempted to make it impossible for the war between the Gauls and those whom de Gaulle called the Germanic tribes ever to happen again, its more fundamental aim was to bring about, in Europe, a kind of end to history. Protected from the vicissitudes of world politics by the American nuclear umbrella and from its own political demons by mechanisms of integration, Europe developed as a haven of peace, prosperity, and political experiment that grew larger and larger; there was nothing else like it on the international scene. Such European exceptionalism, intended to last for ever and to maintain Europeans in postmodern bliss, in fact lasted slightly more than thirty years. When, at the end of the 1980s, the strategic and economic landscape in which the small Europe of 12 nations thought it could sleep peacefully for evermore suddenly exploded, the shock was brutal. As a product of history from the outset, Europe actually found itself quite incapable of grasping, coping with and perhaps influencing the two major revolutions that occurred towards the end of the century: on the one hand, the fall of Soviet totalitarianism and, on the other, the sudden growth of globalization. 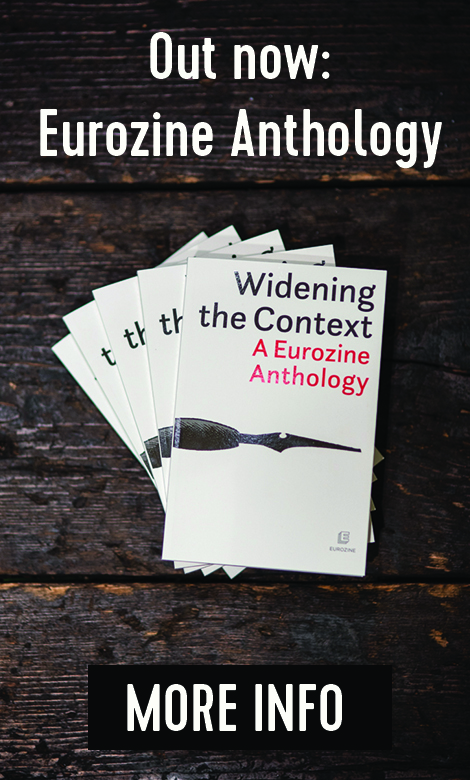 The European crisis, in the form that it continues to exist today, is a historical crisis in the sense that it goes along with the sudden return of history to the heart of European construction. That first shock, in 1990, was twofold: the end of communism in Europe and economic globalization were two sides of the same coin, to the extent that no political system anywhere in the world, beginning with Russia and China, was now advocating any economic system other than a free market economy. 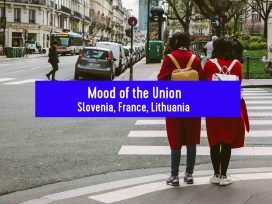 But the extent, the emotional force and the power of the democratic revolutions in central and eastern Europe tended to disguise the extent and the power of the parallel force of globalization. 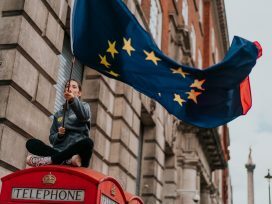 For more than a decade, Europe was to concentrate on – and to split over – the democratic revolution in the East and nothing else. The principal political debate of the period and up to the middle of the first decade of the new millennium was all about the tension between enlargement and deepening of the EU. It was not until the shock of the negative referendums in 2005 in France and the Netherlands that anyone thought of globalization as being the other major challenge for Europe, alongside enlargement – with a Polish plumber as a symbol of their interaction. As usual, France and Great Britain were to represent the two extremes of these debates: on the limits and speed of enlargement, especially with regard to Turkey, and on the defensive or offensive role of Europe in the context of globalization. These two historic revolutions were to completely overturn the habits, culture and policies of the Union. The European crisis that arose in 1990 was many things: a crisis of identity (what were to be the boundaries of the EU if its time-hallowed frontier was no longer to be the Iron Curtain? ); a crisis in its workings (what institutions would a Greater Europe of 30 countries need to have? ); a crisis in conception (is the Union a defensive rampart or a springboard for globalization? ); and lastly a crisis of purpose (in the end, what purpose is served by Europe in a world and an economy that are open?). 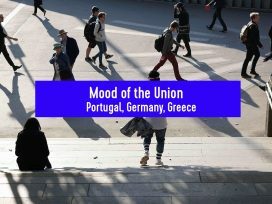 All of this was characterized by the beginnings of a lack of understanding, a sense of disaffection or even of growing anger among European citizens. But this painful process of adaptation did not come to a halt with the revolutions of the 1990s. 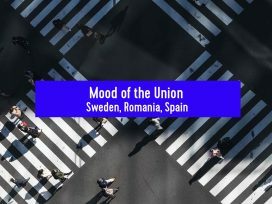 The EU had scarcely got its teeth into solving the two existential challenges thrown down by enlargement and globalization when another series of revolutions was once more to upset the balance that had been restored with such difficulty. In 2004, Europeans were actually celebrating the big bang of enlargement and the halfway stage of the Lisbon strategy: after difficult discussions, shaky compromises and persistent rancour, the EU had more or less adapted itself. Everyone believed that it had achieved a new point of balance that ought to enable it, as the twenty-first century dawned, to rebound and to make progress. But, once more, the world trembled. Two upheavals were to upset the balances in Europe that had been so painstakingly constructed: Russia rebelled and the process of economic globalization hit a crisis. Beginning in 2007-2008, Europeans had to revise two new articles of faith that, over the previous decade, they had struggled to re-establish on the one hand, that enlargement went along with the democratization of the continent, and, on the other, that globalization was synonymous with growth and prosperity. Vladimir Putin indeed gave a warning that, on the contrary, enlargement might mean the return of major insecurity in Europe, or even armed conflict. Meanwhile, the sub-prime crisis that was beginning in the US showed that globalization cannot protect Europe from crisis, unemployment or recession. So twice, in two decades, Europeans have suffered abrupt historic reversals. It is not surprising if, depending on the period and the country, traditional views of Europe and the world are confused rather than confirmed. No matter who you ask, most opinion polls demonstrate an increasingly obvious lack of connection between Europe as it is (which is rejected) and a virtual Europe (which is still supported). Thus, despite political discourse that is more nationalist than European on the part of all the political elites, despite everything, people are convinced of the usefulness of the EU in the face of globalization. In the autumn of 2008 a relative majority (43 per cent) considered that the EU can offer protection against the negative effects of globalization, and 48 per cent thought that it also made it possible to profit from it. This was the majority opinion in 19 of the 27 countries of the EU.4 But, as soon as you move on to concrete points, negative views predominate. At the beginning of 2009, a failure to understand European institutions and the economic crisis came together to encourage a loss of confidence in institutions. The European Parliament lost six points on the scale of confidence in six months, moving from 51 per cent to 45 per cent and the Commission fell from 47 per cent to 42 per cent.5 There is also a similar mismatch between support for a Europe with influence on the international scene (a role that more than 60 per cent of Europeans would like to see) and rejection or criticism of the actual Europe, the Europe of monetary and economic union. Although it does not affect – or does not yet affect – the actual idea of Europe as a political subject, the European crisis is clearly deep, major and lasting. It is not just a passing fashion, it is not the fault of one or other country, of one or other European institution. Still less can it be blamed on the supposed stupidity of European electorates. More than anything else, it heralds the end of a certain kind of European construction, because the world that generated it has itself come to an end. But the case for consigning Europe, as a process of integration and solidarity between a given number of member states, to the oubliette of history is as yet unproven. In 1950 it was the serious culpability of the nation-states with regard to the collapse of the international system that lay at the origin of European integration. Sixty years on, it is the powerlessness of the European nations in the face of a process of globalization that will, in the end, play that role. All that is required is the political courage and boldness of vision of a generation. On these views, see the all-too lucid interview with Jean-Louis Bourlanges by the journal Commentaire: "L'Europe piétine. Analyse d'une déception" ("Europe marks time. Analysis of a disappointment"), Spring 2009. See Jean-Louis Quermonne, L'Union européenne dans le temps long [The European Union in the Long Term], with a preface by Jacques Delors, Paris, Presses de Sciences-Po, in the series " La bibliothèque du citoyen ", 2008. Forecasts of abstentions for member countries as a whole was given as 66 per cent in April 2009, according to "Eurobaromètre standard sur les élections européennes", no. 71, Spring 2009. "Eurobaromètre standard", no. 70, Autumn 2008. "Eurobaromètre standard sur les élections européennes", no. 71, Spring 2009.